The male feminist is a recent phenomenon that most women have never seen before. We imagine a male feminist is handsome, woke, and sophisticated — think Justin Trudeau, Barack Obama, or even the Feminist Ryan Gosling meme. Yet to no one’s surprise, some men have seized the opportunity not to benefit women, but for themselves: using selfies at the Women’s March as their Tinder profiles to get more dates. While it’s taken women almost 200 years to overcome the stigma of the feminist label and rebrand it as something positive, it’s lent a seemingly instantaneous halo or “pedestal effect” to men. Watching this phenomenon at play gives one a sinking feeling — are we making tangible progress by integrating men, or are we falling prey to the same gender dynamics we’re working hard to move away from? There seems an inherent imbalance when what’s taken women centuries of erasure, trauma, and systemic bias to reach becomes a trophy men can gain with a single tweet. This halo effect seems to extend to the other new phenomenon of male allies, which has similarly seen a rapid acceptance. 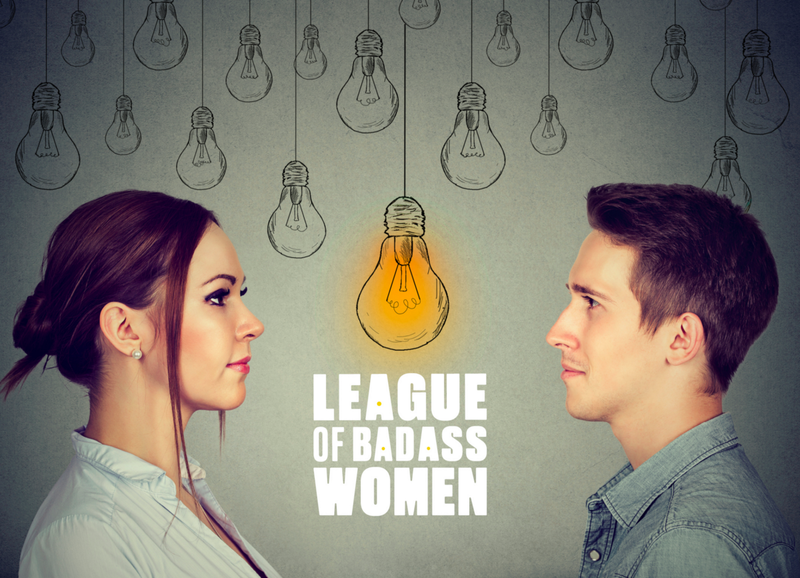 From within the League of Badass Women, other women’s networks like Lean In and many high-profile women, we keep hearing a call for more male allies, how we need to show men the way and partner with them. And while it’s easy to see why we need male feminists, the narrative around male allies seems to have reached rapid acceptance with little challenge or examination. Unfortunately, this conversation seems rooted in the old binary power dynamic that has defined gender roles for centuries. On the surface, calling for male allies seems like a progressive way to move us to an inclusive, gender neutral society. The reality is, both genders first need to unlearn centuries of ingrained patriarchy before we can be part of a constructive and healthy solution together. We need men to deconstruct toxic masculinity, which they can only do by working with groups of other men, before they can truly be great allies to us. After centuries of patriarchy, it’s easy to understand some women’s ingrained inclination to default to focusing on men — even in the midst of a feminist revolution. However, I’d argue that what’s happening right now is greater than #metoo and the dynamic between men and women. In reality, these outcomes are a byproduct of women claiming more agency. Women are expanding the limited definition of what it means to be a woman — something that has been narrowly defined by centuries of patriarchy and the male gaze. In doing so, women are reshaping the conversation about their bodies, physical autonomy, rights to equal treatment, and economic independence. Women are taking a full accounting of the effects of centuries of patriarchy, and it’s time for men to do the same. The work women are doing gives men permission to redefine masculinity outside of the current limited framework, and move toward a more healthy, complex, and holistic masculine profile. Men can be more than warriors and breadwinners, but this is something they must claim for themselves. Men need to do the work of understanding what parts of their humanity that misogyny and patriarchy have robbed them of — because men have been equally and differently harmed by these same toxic structural systems. Men need to create the space for each other to heal emotionally, just as women are doing. As recently as 2010, stars we may think of as women-power icons, including Lady Gaga, Katy Perry, Madonna, and other celebs, avoided identifying as “feminists,” carefully explaining they were “pro-woman” but did not want that F-word label. For years, the word “feminist” connoted anger — which has been historically off-limits for women. Today, when we hear sentiments such as: Let’s not focus on what divides us, but what unites us; we can move forward more quickly by collaborating; we won’t make progress by separating men and women … it feels like the same mental gymnastics. Though more subtle, the narrative is the same: we’re not angry feminists; we don’t hate men. Why in the midst of a long sought-after revolution, where women’s voices, stories, and needs are finally being seen and centered, do some women feel the need to focus instead on making men feel comfortable, included, and important? While women are finally revealing the sometimes horrific extent to which they’ve endured physical and emotional trauma, the collective emergency room of our society deems the potential for male hurt feelings as the priority. This feels less like the revolution we were promised and like more of the same gender dynamics we’re supposedly stepping away from. You know what does feel revolutionary? 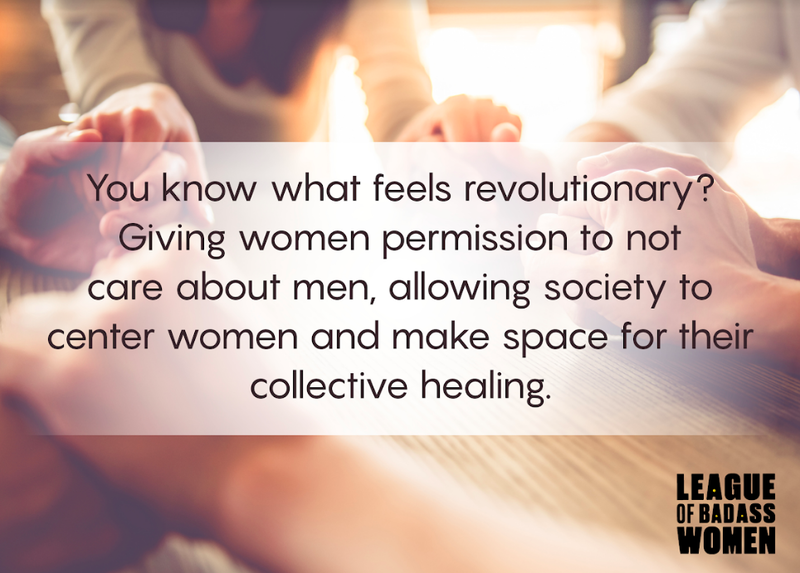 Giving women permission to not care about men, and allowing society to center women and make space for their collective healing. The role of men as allies in deconstructing patriarchy feels problematic because it’s reinforcing existing gender stereotypes. It places men in a leadership role and keeps them firmly in their positions of power. Essentially allies are powerful men speaking to other men and asking them to be nice to women. This reinforces the idea that it’s still men’s role to “save” women, without having to give up their power, as part of an outdated and unbalanced hierarchy. Outsourcing this conversation to men is silly. Women don’t need men to represent us at the leadership table; women can represent themselves. It feels like some women are still asking men for permission in the middle of a revolution. The term ally implies mutual benefit, but where in the male ally framework is the benefit for women? The clear benefit to men is it seems like they can bypass the work of deconstructing their role in outdated gender norms, which is the work we need men to do. When we use the word “ally,” it keeps the focus on women and defines men’s efforts and roles in relation to us, instead of focusing the conversation on men and the reality of toxic masculinity. The other problem is that men are participating in forms of everyday sexism the way the rest of us drink water. A study by the Future of Men Project shows that a majority of male verbal interactions begin with some form of demeaning discussion about women. Another study shows that although 5 percent of all interactions with AI personal assistants are explicitly sexual, “virtual assistants spend much of their time fending off forms of sexual harassment,” suggesting that a high volume of male interaction with female-voiced AI (think Siri or Alexa) involves abusive or demeaning language. Most of the behavior that reinforces and normalizes sexist behavior occurs away from women, in men’s interactions with each other. Men are taking their cues from the responses, jokes, and comments of other men — not from women. In other words, there is a low social cost to allyship for men when it happens in the presence of women — yet where it’s most needed is actually in spaces with other men. All of this suggests that the most important role men have to play is with other men — not with women. The statistics above raise an important question about the true social cost of allyship for men: is it a performative set of actions that take place largely in the presence of women? One can argue that we see the greatest absence of men’s voices (especially allies and “nice” men) on issues that relate directly to women. All over social media, women experience abuse and harassment daily, and it’s not difficult to identify some of the most abused women online (typically Googling “feminist” gets you halfway there). These would seem like low-hanging fruit for concerned male allies. Yet we don’t see men banding together to stand up to online trolls, or petitioning Twitter to change their community policies. Many women note that their “nice” male acquaintances go silent when women post on social media about topics like abortion or body autonomy. Research shows that the effects of online harassment silence women’s voices. Wouldn’t allies be concerned with amplifying women’s voices in public spaces and not just behind closed doors? According to Amnesty, 76 percent of women who had experienced abuse or harassment on social media made some changes to the way they use social media platforms as a result. A recent study by McKinsey and Lean In found that nearly 50 percent of men think women are well represented in leadership in companies where only 1 in 10 senior leaders are women. Also, 66 percent of men disagree that women have more difficulties in the workplace, and they are more likely to see gender diversity initiatives as unfair to men. “While three-quarters of men agree that diverse leadership teams with significant numbers of women generate better company performance, fewer recognize the corporate challenges that women face. Just 19 percent of male respondents strongly agree that reaching top management is harder for women, and they are almost six times more likely than women to disagree.” Is someone who thinks women are well-represented already really going to fight for us to have more seats at the table? Not only that, but another study revealed that men become resentful when women and minorities receive promotions and move into leadership positions: “Top white male leaders tended to become less helpful to other workers — particularly women and people of color — after the appointment of a minority-status CEO,” according to Marketwatch. This means that even if we encourage men to champion women, they are not necessarily conditioned to produce equitable results. “Male CEOs simply don’t see the lack of women around them. Only 28% of men think gender bias is alive and well today,” according to FastCompany. So while women may be expecting 50/50 as gender balance, men may feel comfortable with 20/80. By “outsourcing” gender work to men, are we aligning with partners who are not aware of their own biases, and therefore not working toward our best interests the same way we would for ourselves? It suggests that men as a collective still need to do the deeper work of unpacking their own gender biases before stepping into the ring next to women as our allies. At the root of the male allies conversation there seems to be an attempt to bypass the issue of unpacking gender identity, and leap forward to a place of gender neutrality and equality. In many ways, we’re still living within gender identities conceived thousands of years ago. One could argue that the real issue is not between male and female, but how each has experienced the effects of patriarchy. Patriarchy has trapped both men and women into states of arrested development. This framework has defined men as strong — warriors and breadwinners — yet limited their capacity to express emotions. And women have been characterized as soft, quiet, emotional, and unable to lead. Without facing this deeper conversation, initiatives like male allies will continue to be short-term fixes, which won’t create long term results. As we can see from the research, men as a collective have deeply ingrained biases about gender and equal representation. Recent movements like #metoo and the Women’s March can be deceptive, because while they have touched off an important conversation about how men and women interact, in reality, these movements are a byproduct of women claiming more agency and expanding the limited definition of what it means to be a woman. We can see this represented in more open conversation about previously taboo topics like menstruation, championing the right to show images of natural birth on platforms like Instagram, and more pointed discussions about women’s representation in directing and creating media. This suggests that the best way for men to be allies is to reclaim agency within their own communities in redefining masculinity. We’ve seen echoes of this recently as more men call for an end to toxic masculinity, as well as address the lack of emotional intimacy and the emotional isolation that leads men to depression and self-harm. More research is popping up about the effects of toxic masculinity and emotional isolation on men. According to the Center for Disease Control, suicide is four times higher among men than women, and many theorize it affects men more because of the way society expects them to behave. Other research has highlighted the touch isolation that boys and men experience, and emotional isolation is often said to be at the root of violent behavior often displayed by men and boys. Last year I eagerly watched the release of Jay-Z’s 4:44, the long-awaited response to his wife’s cathartic and epic Lemonade, in which she revealed his infidelity (along with creating a space for the full expression of emotions that women experience). What struck me about Jay-Z’s response was that it transcended the stereotypical responses that we’re accustomed to seeing from men caught in other scandals — defensive or contrite. Instead, in a series of eye-opening videos, he held open conversations with groups of other men about love, intimacy, and what they had been taught about manhood. Men of various races and professions candidly discussed how their struggles to form healthy emotional connections in their personal lives had impacted them, and importantly, how the behavior had been learned from other men in their lives. Not only was it a rare peek into the subtle ways that sexism is taught, it also showed self-awareness about how it imprisons men. What Jay-Z realized is that his marital problems didn’t stem from his wife being unhappy with his behavior. Rather, he’d never been given the tools to become an emotional adult, and engage in emotional intimacy. It was revelatory to see these men openly wrestle with issues of masculinity in a deeper exploration: what does it mean to be a man and who taught you this? Do you believe these stories? Have those stories made you the person you want to be? Are you proud to show up as the man you’ve been taught to be in all areas of your life? You may have physical, intellectual and professional strengths — but at what stage is your emotional development? In many ways, the conversation about male allies needs to elevate to this level. It’s ultimately not about the dynamic between men and women, with women feeling “wronged” and demanding that men “fix it.” Instead, men need to take space for self-examination as a starting point for deep healing that leads to growth. Doing the work of understanding how patriarchal culture has affected them, will allow men to recognize that they are being equally, yet differently, harmed by the current structure. This will enable men to work alongside women in deconstructing it more effectively. This suggests that the path forward for men is not in collaborating with women, but in first collaborating with each other, and creating their own communities of support. The space we’re in today feels murky, uncomfortable, and uncharted. As tempting as it is to fast-forward to the part where we all get along, both men and women have to learn to sit in this uncomfortable space as we transition. 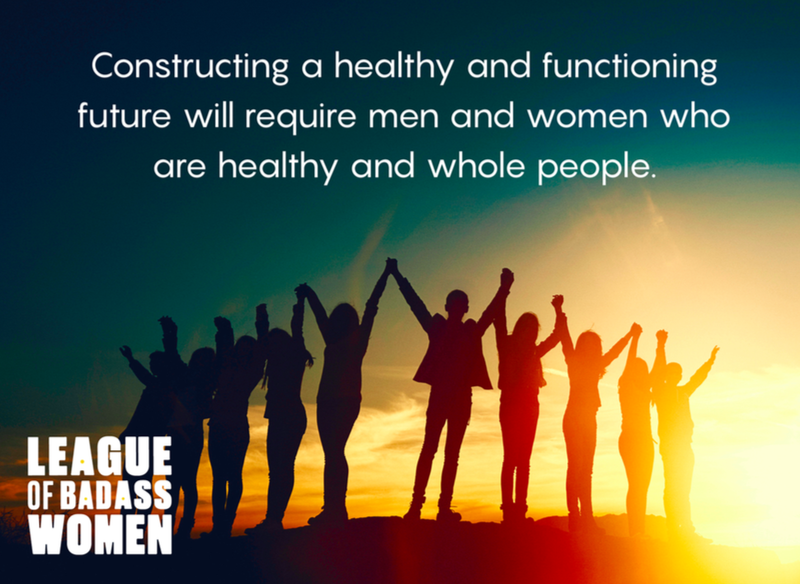 Because constructing a healthy and functioning future will require men and women who are healthy and whole people. The truth is that we’ve all grown up immersed in patriarchy, and a few months of revelations, marches, and #woke memes is not enough to undo a lifetime of conditioning, for either gender. On the surface, male allies seems like a slam dunk, an enlightened and progressive way to cover over the wrongs of the past and fast-forward ahead of the uncomfortable space we find ourselves in today. And while we hope to arrive at a place of partnership in the future, it feels too early to focus on now. We’re all still busy smashing the patriarchy. is on a mission to connect and empower communities of women to support each other, rewrite the rules of leadership, & constructively disrupt the world of work.